Date: May 5 2018, 7 a.m. - 12:30 p.m.
Race day registration: 6:00 a.m. - 6:45 a.m. (T-shirts available while supplies last. Cash/check only. Parents, register your child for the America's Armed Forces Kids Run at americaskidsrun.org (select USAG-Hawaii). Receive a Kids Run t-shirt and bib number race morning. Registration open to the first 250 military dependents ages 5-13. 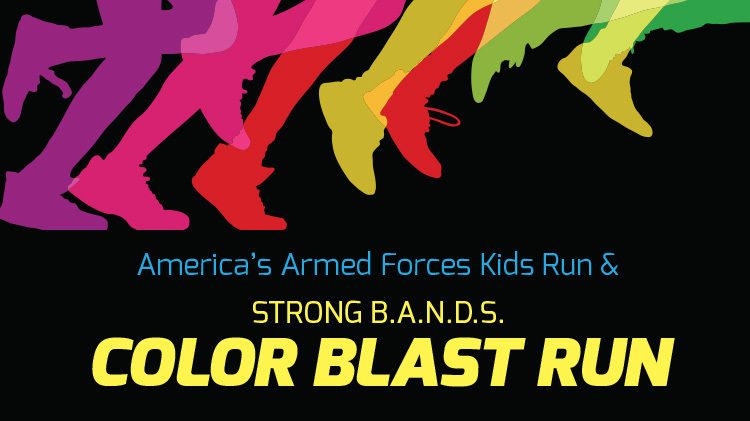 Registered children are welcome to run in the Color Blast for free! Ages 5 & 6 : 1/2 mile at 8:30 a.m.
Ages 7 & 8: 1 mile at 9:00 a.m.
Ages 9 - 13: 2 miles at 7:00 a.m. Enjoy reading? Visit Story Walk before or after the Kid's Run. Participants will stroll along a quarter mile route reading pages "From Head to Toe" by Eric Carle.